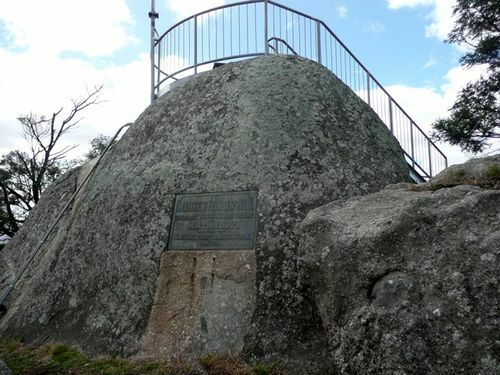 Bronze plaque affixed to a granite tor on the top of Flinders Peak commemorates Matthew Flinders who climbed the highest point of the You Yangs, now named in his honour, in 1802 and charted Port Phillip Bay. The peak was originally named by Flinders as Station Peak. Matthew Flinders was recognised in his time as one of the world`s best navigators and hydrographers. He was first to correct the nautical compass for errors. Unveiled by His Excellency, Sir John Fuller, Governor of Victoria, it records the ascent of the You Yangs.